by Michael G. Zey, Ph.D.
Dr. Zey’s new book, The American Future: The Seven Keys to Reviving US and Global Prosperity, to be published in mid-2017, by Sunstone Press. Michael Zey’s article appeared in the June 2 2016 “American Thinker.” The article is entitled “Americans Deserve A Presidential Recall Option,” and describes part of Dr. Zey’s vision of fundamentally reforming the American presidency, the executive branch of government, and the administrative state. Michael Zey presented a lecture on the subject “The Challenges and Opportunities of the Virtual Work Team” based on his peer-reviewed work on the topic at Montclair State University. Dr. Michael Zey co-published an article “Team Composition of New Venture Founding Teams: Does Personality Matter?“ in the peer-reviewed elite management journal The International Journal of Entrepreneurial Behavior & Research . The other authors were Wencang Zhou and Huajing Hu of Adelphi University. This appears in the journal’s Winter Quarter edition. >Dr. Zey’s article “THYNC brings electronic mood enhancement to consumer market” was published by The Examiner August 24, 2015. > Dr. Zey’s article” Weak US Economic Data Forces Federal Reserve to Postpone Rate Hike” was published by Examiner.com on April 19, 2015. Examiner.com published Dr. Zey’s article “After Orion: US Faces Many Competitors in 21st Century Space Race” on December 14, 2014. Examiner.com published Dr. Zey’s article “Most New Jobs Going to Older Adults, As Younger Groups Lose Ground” on October 6, 2014. Examiner.com published Dr. Zey’s article “Yellen, Citing Labor "Slack," Could Keep Rates Near Zero Through 2015” on August 4, 2014. 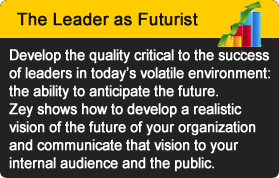 Michael G. Zey will speak at the 2014 World Future Society Conference. 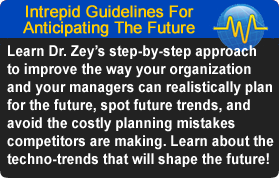 Dr. Zey will address the conference on the "The Impact of Longer Lives on the Careers, Retirement, and the Economy. "," The conference will be held at the Hilton Orlando Bonnet Creek Resort, Orlando, Florida. July 10,2014. In June 2014 an updated version of Michael G. Zey’s recent book, Ageless Nation: The Quest for Superlongevity and Physical Perfection, was published by Transaction Books, Piscataway New Jersey, the social science publisher of record. The book was issued in trade paperback format. The book will also be available in e-book format. Dr. Zey appeared on “The View from the Other Side “ on the Comcast Cable System to discuss the new edition of his book Ageless Nation. Examiner.com published Dr. Zey’s article “Muse Headband Opens Way to Enhanced Human-Computer Interface” on June 5, 2014. Dr. Michael G. Zey appeared on Blog Talk Radio's "Youth for Independence” to discuss the impact of Obamacare on jobs, the economy, and healthcare. Michael G. Zey's interview on emerging economic, social, political, and health care trends for 2014 appeared in USAToday, January 1, 2014. Dr. Zey predicted that the economy would continue on a low-growth trend, and said misgivings about Obamacare and the economy could lead to the GOP regaining control of the Senate. Michael G. Zey’s article “Longer Lives, Longer Careers” appeared in The Newark Star-Ledger. 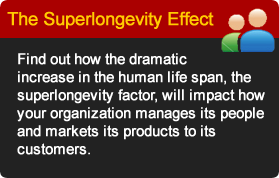 The article deals with the impact of Superlongevity on careers, jobs, health care, retirement patterns, and the social safety net, and includes recommendations for business, government and individuals to cope with new demographic trends. Dr. Michael G. Zey appeared on Cablevision’s “Liberty Action” program to discuss “Social Issues of an Ailing Economy.” He discusses the evolution of the job market to a largely part-time work force. He examines the jump in the number of suicides in the US (esp. among youth and Boomers), the increased use of anti-depressants, and the reduction in new home sales, car sales, and miles-driven. He discusses job strategies and career alternatives, as well as policy changes to reverse America’s downward trend. On May 14, Michael G. Zey participated in a panel discussion on US policy on immigration and the prospect for immigration reform. The discussion was held at Montclair State University. Other participants included Dr. Murray Sabran, former Libertarian NJ gubernatorial candidate, . This was televised nationally via Youtube.com, and because of the technological innovations (smart phone cameras, live stream via Youtube) involved in the broadcast, the Library of Congress requested a copy of the program for their records. Michael G. Zey made a second appearance on Cablevision’s “Liberty Action” program. In this program he discussed the status of the US economy. Topics covered: stagnant wages, high youth unemployment, disappearance of full-time workers, and destructive QE policies pursued by Federal Reserve. Michael G. Zey appeared on Cablevision’s “Liberty Action” program discussing the coming impact of Obamacare on the US economy and health care system. The program ran several times throughout February and March of 2012. Dr. Michael G. Zey appeared on “The Boomer and the Babe” radio program to discuss the economy’s impact on Baby Boomers’ prospects for retirement.